Sometimes when we least expect it, a balloon changes our whole day! This week, I was given some treats on Boss's Day by the gal I supervise. She rolled in (literally...she's on a scooter for a few weeks because she has half of the Ace Hardware Store in her leg after knee surgery) with the coolest balloon, some candy and a card. I had no idea it was for me, I even said "wow that's a cool balloon." I was totally surprised and a little overwhelmed when I realized (she told me) it was for me! I had a little hop in my step the rest of the day! My sweet ballon was such a wonderful reminder of how something so unexpected can change your whole day! We sometimes forget the role we play in others lives and what role they play in ours, but it's important to let the people we care about know that we appreciate them! Try doing something nice for someone this week...not only will you change their day, but it will probably change yours too! 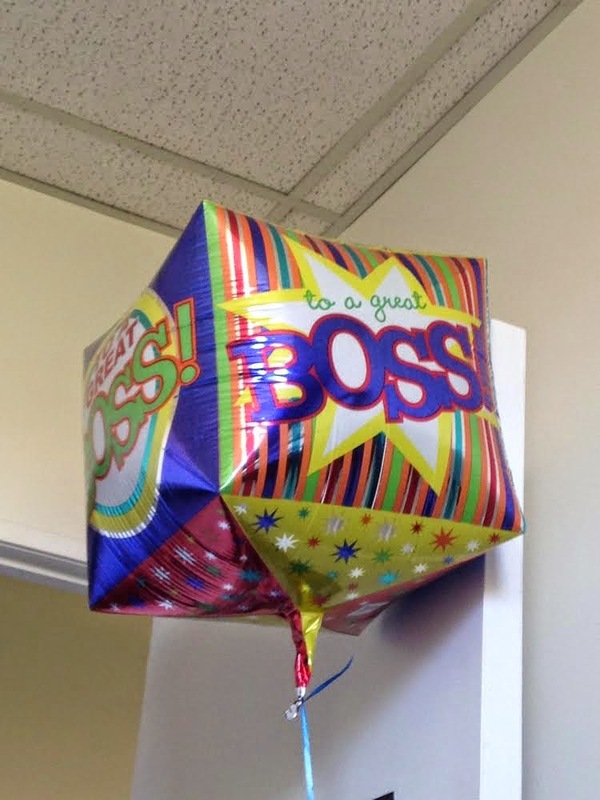 Just remember, a little recognition and a badass balloon goes a really long way!